My next book is off to the publisher! 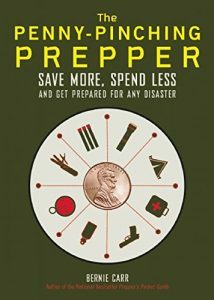 I sent the final chapters of my upcoming book The Penny-Pincher Prepper: Save More, Spend Less and Get Prepared for Any Disaster to the publisher. The book is for anyone who has wondered how to be prepared on a small budget. The book is due out this October. I’m sure there will be lots more work up ahead but I am relieved to be over the bulk of it. Now I get to spend more time writing the blog! 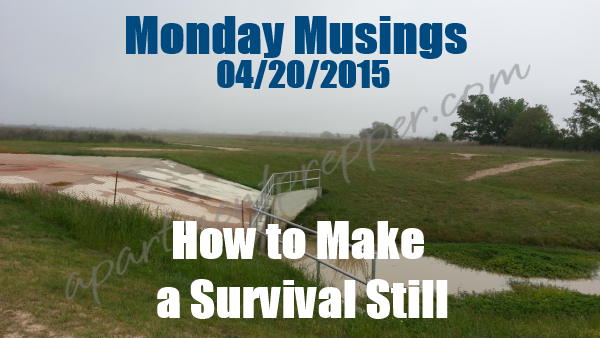 What are my concerns about an economic collapse? While a resident of Texas I lived through Hurricane Ike, and suffered major damage to my home. Fortunately we had financial reserves to begin rebuilding, even before the insurance company did its survey. I am most concerned about the vulnerability of the supply chain. We had 8 days notice of the hurricane, and we’re well prepared anyway. But in the last hours I decided I wanted more dog food, the Walmart was bare. When the power went out, my well pump did as well. Got the generator going to preserve meds and a small room for cooling, hooked a hand pump to the well. We were okay, but were clogged by “friendly neighbors” with zero clue about self care. I’m only as secure as those around me. We went through our charity supplies in hours. Always thought I’d have trade items, the neighbors had NOTHING to trade. Always looks for new information. I learn through good choices and mistakes. Thank you, eager to hear perspectives. I’m always on the lookout for projects that don’t require a lot of special tools and equipment for those of us who are space challenged. This video on how to make a survival still that fits in a bug-out bag is by far the simplest one that I’ve seen. Take a look and drop me a line if you are going to try it.